How I love my dearest Grub. Your gentle nature; your silky fur. and sat alongside me each morning. rolling in soft earth with relish. Finding spots of sun to rest in. Food and cuddles were your delight. Your purr brightened every day. I listen for your little noises. I look for your warm blackness. We had three beautiful cats. They were brothers. We called them Cuthbert (Bertie), Dibble and Grub. 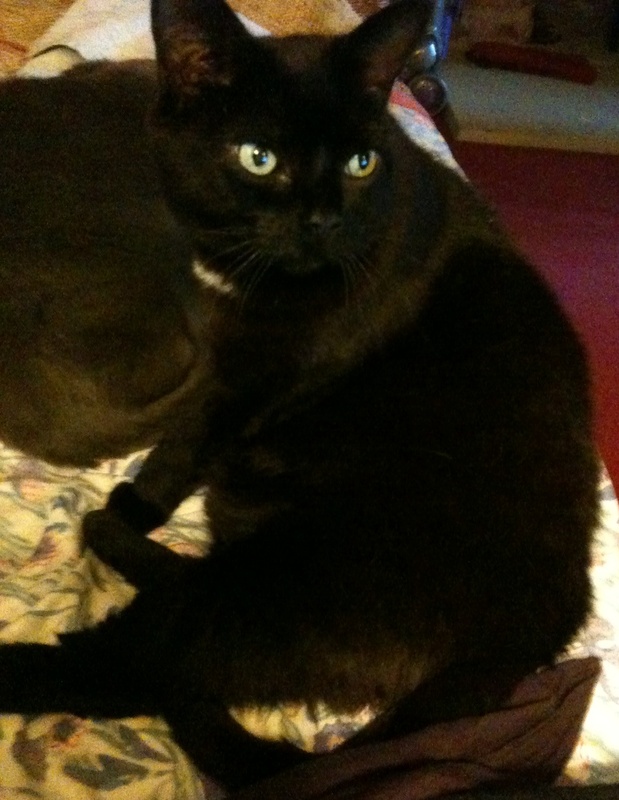 A few years ago we lost our lovely Dibble and two weeks ago we lost our beautiful Grub. Our hearts are sad, but we’ve been so lucky to have them in our lives. We treasure our last cat. He is missing Grub as much as we are.